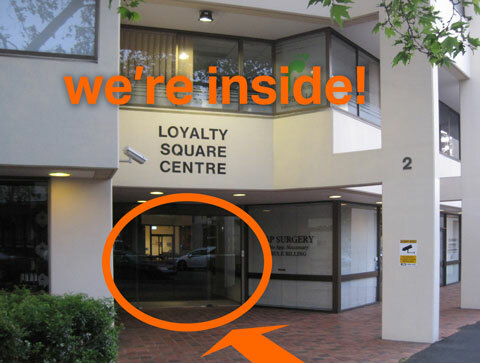 We're inside the Loyalty Square Centre, the commercial building on the corner of Palmer and Beattie Streets, opposite the Woolworths carpark and the Unity Hall Hotel. 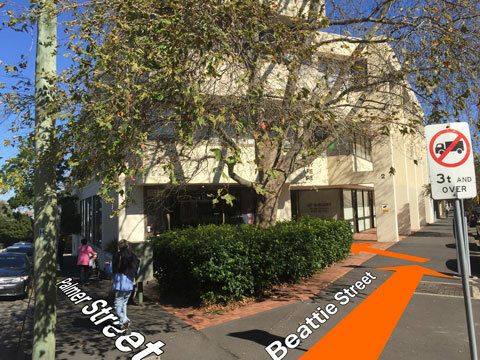 The entrance is through the glass doors on Beattie Street. 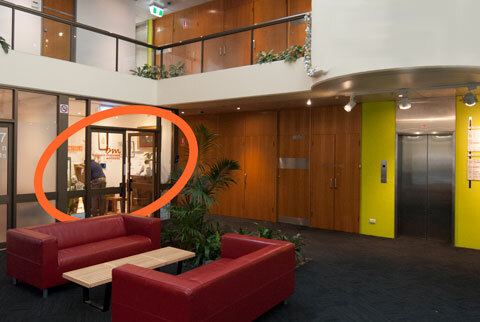 We're on the ground floor... walk through the glass doors and you'll see us across the atrium.